The King of Judah fought off Assyrian attacks. 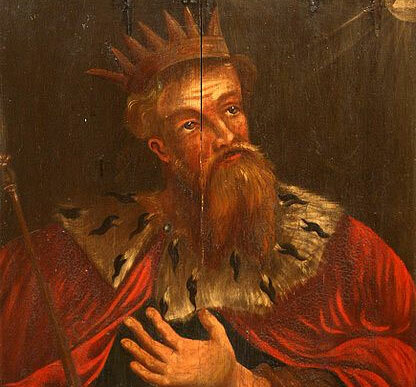 Hezekiah, the twelfth king of Judah after the partition of the United Monarchy, was one of the greatest Judean kings. At the age of 25, he succeeded his father, Ahaz, on the throne. He reigned for 29 years and died at the age of 54. His mother was Abi, the daughter of Zechariah. His wife was Hephzibah. Judah, during the entire reign of Hezekiah, was a shrunken state and a vassal to Assyria. Hezekiah’s first act as king was to reopen the gates of the Temple and to have them repaired. He asked the priests and the Levites to purify the Temple; after they had done so, the king assembled the leaders of the people and brought animals to the Temple to have them sacrificed by the priests. He reformed the cult in the Temple, reorganized the priests and the Levites, and eradicated idolatry throughout the country. It was during his reign, in 722 B.C.E., that Assyria conquered the kingdom of Israel and deported most of its inhabitants. Hezekiah invited the remaining people who had stayed in the territories of the former kingdom of Israel to come to Jerusalem for Passover. The object of this invitation was probably to intensify the consciousness of national unity of the survivors of the northern tribes, as a first step in the territorial and political restoration of the kingdom of David and Solomon. To achieve political independence from Assyria, he ensured the supply of water to Jerusalem by closing off the outlet of the Gihon spring, which was outside the walls of the city, and by diverting the spring waters by means of a tunnel to the pool of Siloam, which was inside the city walls. The Assyrians attacked Judah; took the city of Lachish; and besieged Jerusalem, demanding unconditional surrender. During the siege, the king received powerful backing from the great prophet-statesman Isaiah. A plague on the Assyrian camp wiped out the invaders, and Jerusalem was thus saved, but the result of the war was that Judah reverted to its vassal status and continued to pay tribute. Not long after that, the king became seriously ill. Isaiah came to him and told the king that he was dying. Hezekiah prayed to God, and God granted him another 15 years of life. Hezekiah, unconvinced, asked Isaiah for a sign that God would heal him, telling the prophet to make the shadow of the sundial of Ahaz go back ten degrees. Isaiah prayed to God, and the miracle was done. Isaiah placed a lump of figs on the king’s boil, and the king recovered. The king of Babylonia sent envoys with letters and gifts to wish him a speedy recovery. Hezekiah gave them a tour of the palace and the treasure house. Isaiah, hearing about this, predicted that one day the Babylonians would destroy Judah. The remaining years of Hezekiah’s reign were uneventful. The Bible mentions that during his reign the proverbs of Solomon were compiled and copied. Hezekiah died loved and honored by his people and was succeeded by his son Manasseh.